Having a pet is a huge responsibility, and it’s certainly not for everyone. Dogs especially require a lot of time, patience, exercise and money to stay happy and healthy. That being said, numerous studies have shown that pet ownership can help tremendously with mental health issues, especially depression. While a pet can never replace proper mental health treatment at an orange county counseling center, if you have the means, adopting a furry friend may be worth looking into. The popular expression “attitude is everything” may not be entirely true, but the fact is, optimistic people are more pleasant to be around. Positive people tend to have healthier relationships with others, live longer and beat physical and mental illnesses faster. Oftentimes an excessively negative attitude is a sign of underlying depression and best treated by behavioral health services. However, there are plenty of things people can do outside the psychiatrist’s office to improve their attitudes. 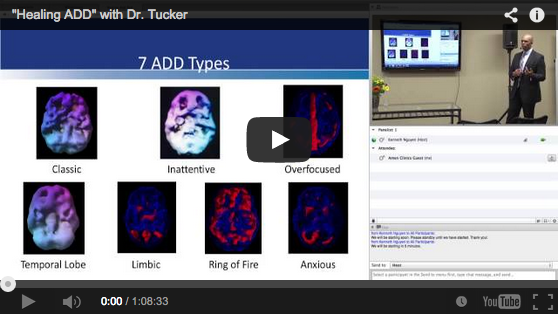 Click here to watch Dr. Tucker’s Brain Summit presentation on the ‘Seven Different Types of ADD’ and the accompanying treatments.